3 days in Venice is the perfect amount of time to discover not only the city’s biggest sites and attractions, but also some of the best secret local hideouts too! ‘Queen of the Adriatic’, ‘City of Water’, ‘City of Masks’, ‘City of Bridges’, ‘The Floating City’ and ‘City of Canals’. Venice has many names and it’s easy to see why. This is one of the most unique cities in the world and there’s nowhere else quite like it. From the famous canals and the city’s unbelievable grandeur to its thriving contemporary art scene and wonderful Venetian culture. There are so many things to discover about this great city. Starting with the top sites like San Marco Square, the Grand Canal and Rialto Bridge, you’ll also have time to get lost in some of the romantic, narrow alleyways of San Paolo and stumble upon some local gems. You can also take a half-day trip to neighbouring islands like Murano – where you’ll discover the art of glassblowing. Or those who prefer a day of relaxation or some beach time can head to Lido, just a 15 minute ferry ride away. Here’s everything you need to know about how to spend your 3 days in Venice. The Grand Canal doesn’t just connect Venice’s top tourist attractions, this ‘main street’ is one of the main attractions itself. At just under 4km long, the canal splits the city in half in an upside-down ‘S’ shape. Floating down the canal you’ll find incredible views on either side, from the beautiful buildings to the historic bridges. 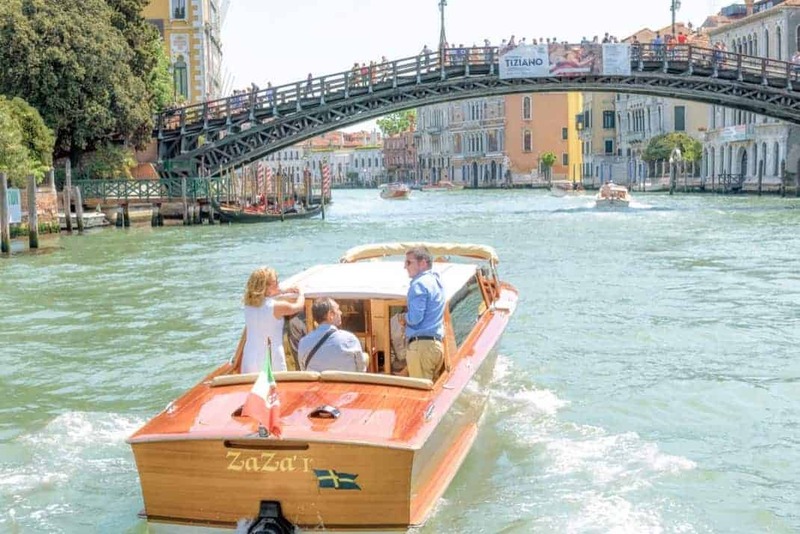 On the water you’ll share the canal with gondolas, water taxis, ferries, speed boats and barges – just to name a few. Not just famed for its pizza and pasta offerings, Venice has its very own local cuisine to offer too. If you want to really experience Venice like a true local then you have to try some of traditional Venetian dishes. If you don’t want to commit an entire meal, try one of the charming bacaris. 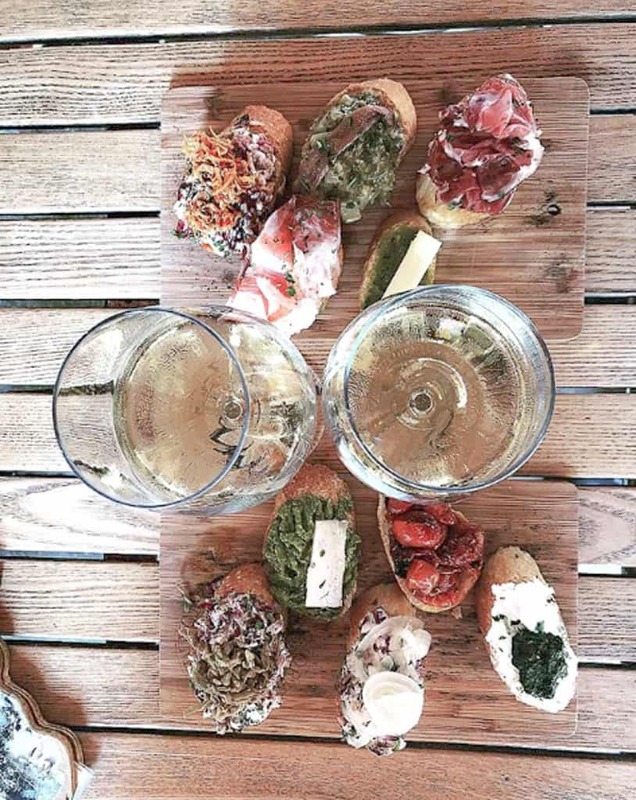 These are the local wine bars that also serve little cicchetti. Order a few of these bite-sized snacks, a glass of Italian wine and enjoy. Saluti! Probably the most famous sight of Venice, San Marco Square is the biggest square on the island as is loved by tourists. Despite its popularity, the square is so beautiful that every visitor has to see it at least once. 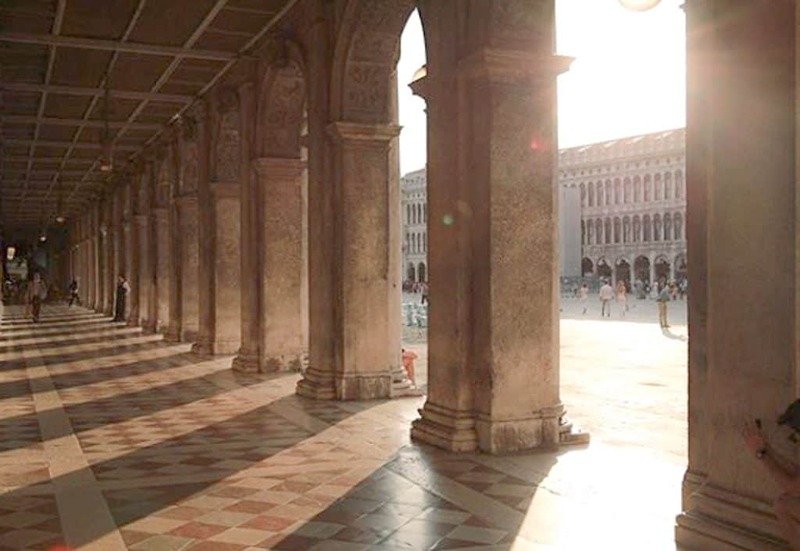 Not only will you see the breathtaking Basilica San Marco, you can also have a coffee at the oldest café in the world! Sit back, watch the pigeons congregate in the centre of what Napoleon once called ‘the drawing room of Europe’ and take in all the beauty. First thing in the morning head straight to Piazza San Marco to see it in all its glory before the crowds arrive. You can go inside the Basilica di San Marco free of charge and have a look around. If you want to see the church museum there’s a small entrance fee. Just outside you’ll spot one of the piazza’s most recognisable landmarks – the Campanile di San Marco bell tower. Finish with a coffee at Caffè Florian – the world’s oldest coffeehouse found right inside the piazza. After lunch it’s time to cool down with a delicious gelato. Cross over the famous Rialto Bridge to San Polo, where you can wander through the bustling fish market. There are plenty of bacari bars around if you get peckish. Head towards Alaska Gelateria – off the main path, it’s where you’ll find the best organic gelato in Venice! Finally, you can’t visit Venice without going on a gondola ride. Find yourself a beautiful gondola and negotiate a price before you get in. Then it’s time for your own private tour of Venice by boat. 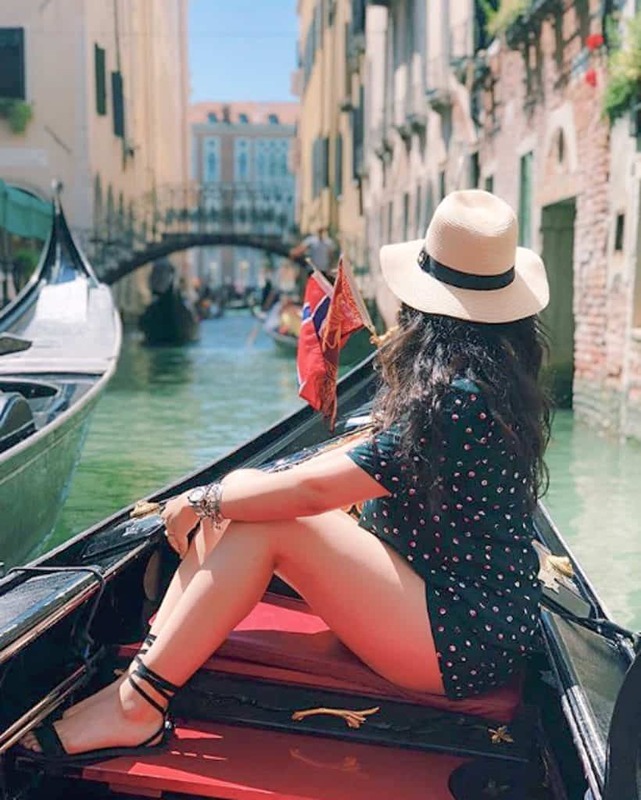 For the romantics out there – time your trip right around sunset for the most beautiful views of Venice and the Grand Canal! 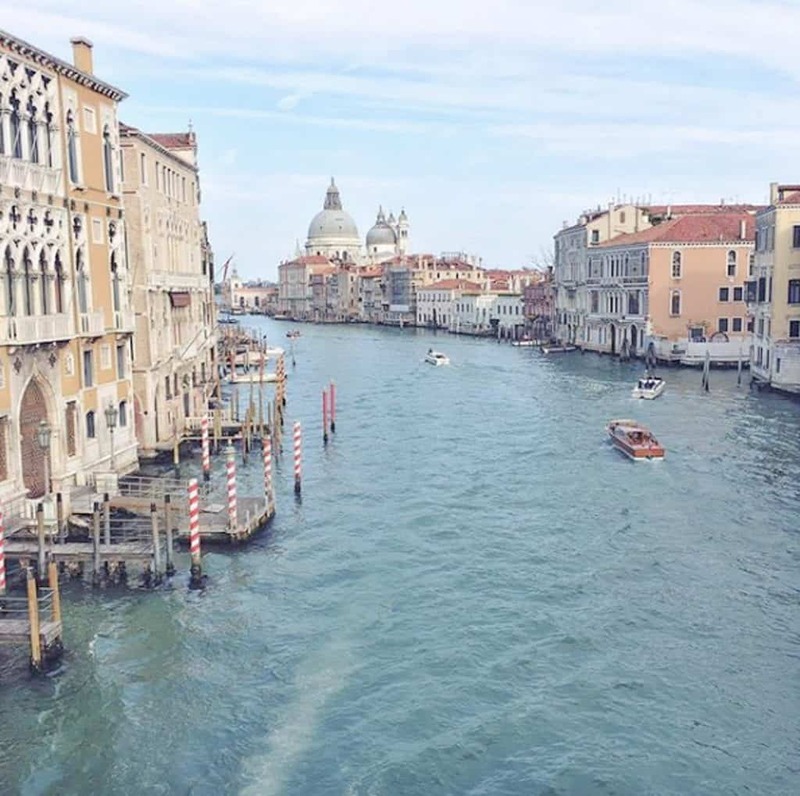 On your second day in Venice it’s time for a tour of the Grand Canal. Start in the morning and and hear to the water. By boat you’ll see the eye-catching Santa Maria della Salute guarding the canal’s entrance. This 17th century Baroque church was built to celebrate the end of the plague and is a beautiful sight inside and out. Inside you’ll discover Tintoretto’s ‘Marriage at Cana’ painting, amongst others, which celebrates the miracles of life during the time of the plague. Time to get back on the boat and head to the next stop – the Peggy Guggenheim Collection. Perfect for lovers of modern art, this museum houses work from world-famous artists like Ernst, Picasso, Braque, Dali and Chagall. All artwork is from Peggy Guggenheim’s private collection and the museum is actually her former home on the banks of the Grand Canal. Back on the water, the final stop for the day is Rialto Bridge – the most famous of the four Grand Canal bridges. This 500 year-old monument is perfect to visit in the evening when the surrounding nightlife comes alive. Lined with an strip of shops going down the middle, the bridge has beautiful views – day and night – of the canal and its surrounding sights glistening in the water. On your third day in Venice it’s time to go further afield. Jump on a water bus and head towards Murano, where the art of glassblowing was born. Not only is the island beautiful to see, you can also visit a glassblowing factory to see the spectacular art with your own eyes. Stock up on some souvenirs at the factories and local shops before you leave. After Murano it’s time for your next lagoon island. The Lido is another neighbouring island on the lagoon, but even more unique as it’s actually an 11km long sandbar. Separating the lagoon from the Adriatic Sea, Lido was once the ‘it’ resort island in Venice. Nowadays it’s famous for hosting the prestigious Venice Film Festival every September. 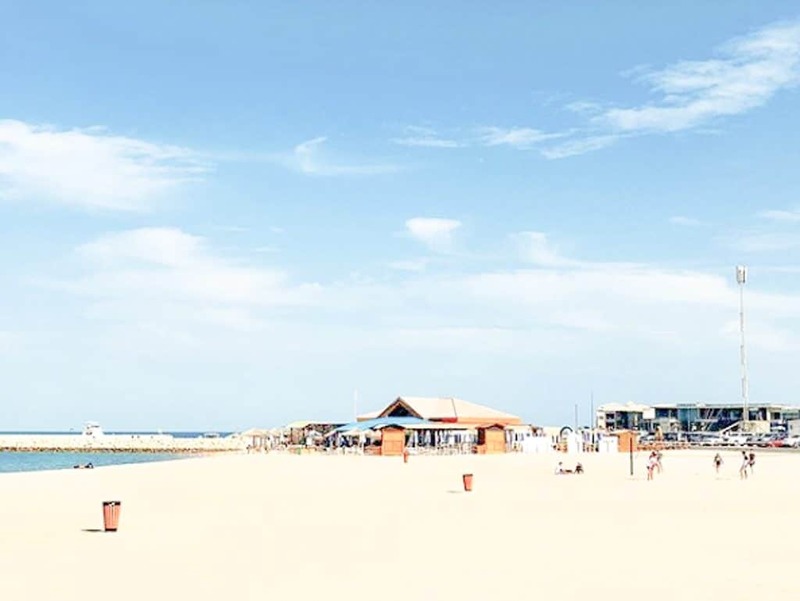 Grab some fresh gelato or a bite to eat and make your way towards the beach for an afternoon in the sun. Finish the day with dinner on the Lido before catching a 15-minute water bus back to Venice. There are plenty of amazing local options to choose from. La Tavernetta is especially popular during the Venice Film Festival and is renown for serving fresh, locally sourced produce. If you love alfresco dining, try Parco delle Rose – a charming pizzeria with a stunning garden.